By improving the viewing experience, VR and AR can help improve posture. As screen time continues to rise, we may want to consider how it can impact health-related aspects of our lives. VR and AR offer viable options to mitigate some negative health aspects as these newer technologies untether us from traditional screens. According to the National Telecommunications and Information Administration, the proportion of Americans using a smartphone rose from 27% to 64% between 2011 and 2017. The prevalence of tablets also increased over the same time period, while the percentage of laptop users held steady. Meanwhile, the number of people using at least two different types of devices increased from 52% to 62% from 2013 to 2017. The percentage of households with some form of computer has continued to rise, and computers remain the most common method of accessing the internet at work. These trends have amounted to the average American spending 23.6 hours a week on the internet — up from 9.4 in 2000. There are potential health impacts stemming from this rise in usage we ought to consider. When operating devices, we tend to hover over screens or view them quite closely, so this increase in device usage also parallels more time spent bending over or looking down. Studies have confirmed the negative impacts of this phenomenon on posture, neck position and respiratory function. When the forward angle of the head increases, as it often does when looking at screens, it places more weight on the neck and urges shoulders to round forward. Spending more time viewing devices in such suboptimal position can hurt posture and other associated aspects of health like breathing, blood flow or even mood. For that reason, emphasis has been placed on viewing ergonomics. Solutions such as optimizing monitor height and sitting in properly-fitting chairs, in addition to overall postural cognisance, do help. But, sometimes we cannot adjust the screen enough or simply don’t feel compelled to reposition our devices to maximize posture. Virtual and augmented reality allow viewers to relinquish themselves from the constraints of physical screens by replacing them with more flexible digital ones. These new technologies offer users the ability to more easily position their digital interfaces as desired. Instead of requiring physical supports to place the monitor at the right height or needing to expend effort to hold the phone in a healthier position for the neck and back, the computing interface may exist at any given location in the user’s scene. Thanks to different types of motion tracking, AR and VR technologies allow windows, applications and other interfaces to float in a fixed, customized spot that aims to maximize the user’s posture and comfort. The virtual interface can also move with the user, adjusting as he or she changes from sitting to standing. Those accommodations create a computing environment that allows and incentivizes users to view virtual screens in accordance with their ideal body positions and posture. They have less incentivization to slouch or hunch over. They also don’t need to put themselves in uncomfortable positions because they can position VR and AR screens at infinitely customizable heights, angles and distances. This helps preserve posture when operating traditional computers as well as mobile phones using these emerging technologies. The benefits extend to situations where users would otherwise angle their heads and necks when viewing mobile devices lying down. For example, when watching a video using VR or AR, the “screen” can appear directly in front of users as opposed to forcing them to rest the phone on their chest or hold it in the air above them in order to see. These new technologies can accommodate “no-hands” viewing when choosing to lie down or rest on one’s side. However, the act of manipulating interfaces will still require a control system that can conduct through tracked controllers, voice commands, hand gestures or even possibly eye gestures. The impacts of AR and VR on posture and viewing ergonomics may become quite pronounced in the workplace, where individuals often sit in one position while focused on a task for prolonged amounts of time. Such computing environments already incorporate mouse controllers, and they often possess the space for potential hand-controlled interface manipulation. The benefits for posture, comfortability, alertness and health afforded by these viewing devices warrant even more attention as workforces emphasize wellness and demand the latest and greatest technologies. Organizations will want to stay ahead of the AR curve so they don’t get left behind and miss out on attracting and retaining top talent as it further proliferates. Although implementation of these technologies is still rather young, and AR environmental motion tracking continues to improve to offer more value to workforces, many companies have already incorporated versions of the technology into their operations, training or data analysis. Augmented reality device maker Meta uses its own AR goggles to add to the functionality (and ergonomics) of the computing experience, and other firms utilize such devices to provide workers with contextualized information when assessing certain parts of machines or products. As VR headsets become lighter and AR goggles or glasses work toward flawless motion tracking, they’ll find increased demand by companies that work to stay up-to-date on technological and wellness accommodations. 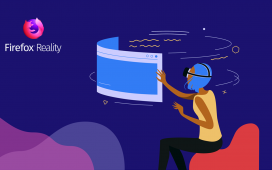 Beyond the ability to produce a more intuitive viewing experience, AR and VR offer the capability to experience and manipulate digital assets in 3D space for enhanced visualizations and interactions. With the benefits in mind, it’s also important to note that AR and VR will continue to demonstrate room for improvement. For example, the weight of AR and VR headsets in theory may create other forms of strain on the neck. They also present a more intimate physical association with the user, such that fit becomes an important part of a comfortable viewing experience. That being said, both of those considerations find strong responses and attention from makers. Manufacturers craft headsets keeping comfort front of mind and therefore aim to produce lightweight, well-fitting hardware that maximizes form factor. In addition, different types of straps and harnesses help to ensure an accommodative fit regardless of head shape or size. They also aim to divert the distribution of weight such that the device’s center of mass falls more in line with the natural mechanics of the neck and spine. This all combines to create devices people can wear for longer amounts of time without strain or annoyance. Another area for consideration lies with the eyes. Research is being conducted in order to determine if they receive any impact from prolonged use of AR or VR. Viewers have reported some tiredness or strain after longer VR sessions, but those same effects are also present with current types of screens. The American Academy of Ophthalmology offers MD Stephen Lipsky’s statement that “as far as we know, this technology poses no threat to the eyes.” More long-term studies will likely be conducted, and as with any other screen technology, excessive use should be split up by intermittent breaks if strain or nausea does occur. Until we gather more information, it’s also possible to wonder if certain instances and use patterns of AR and VR actually serve as forces to improve vision. In the end, AR and VR technologies present opportunities to improve comfortability and body position during viewing experiences. More customizable and refined positioning of virtual screens may better accommodate users while nudging them into healthier postures. As the headsets that enable these experiences continue to improve in form factor, and AR enhances its motion tracking, they will become better suited for use in both business and leisure settings. As the trend toward increased technology usage continues, AR and VR will help to ensure healthier necks and backs, and they might even incentivize users to move around a bit more as they do so. Brian Thomas is contributor to Enlightened Digital, long-distance cyclist, and lifelong advocate for women in business, from Philadelphia. Tech and business are his lifeblood, but he’s also a fanatic of brewpubs and just about every sports team in Philadelphia.